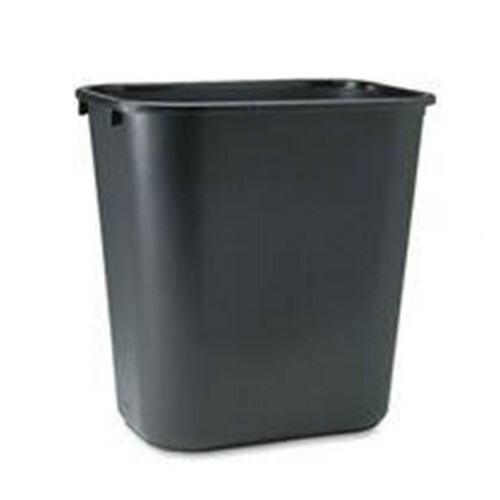 Soft Molded Plastic Wastebaskets, 28 quart. Space efficient and economical. Fits under standard desk height even when swing top is fully extended. All plastic construction will not chip, rust or dent. rolled rims add strength, and are easy to clean.